Varun Tej starrer Antariksham is one of the much awaited films this season. The teaser of the film created a stir. Now the trailer has got its release date. 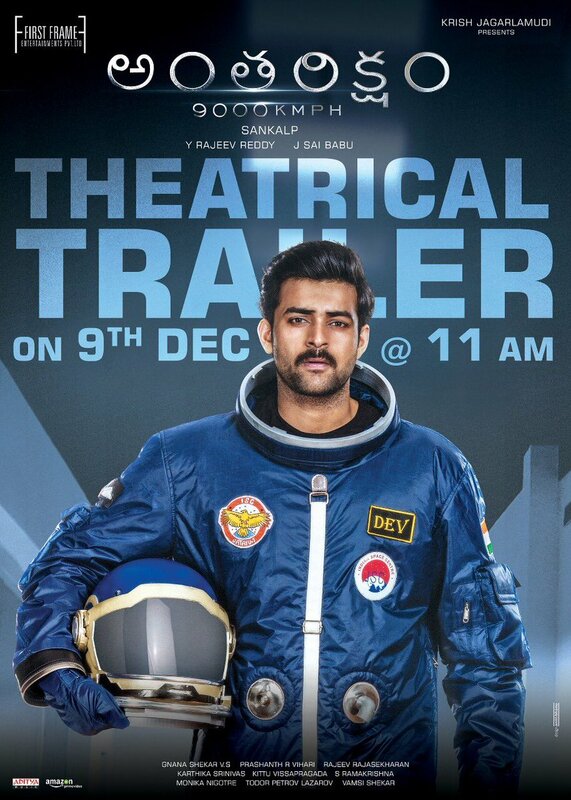 The makers are planning to release the trailer on 9th December at 11AM. The announcement was made today. Varun Tej will be seen as an astronaut in this film. Sankalp Reddy is the director of this film. Aditi Rao Hydari and Lavanya Tripati are the female leads.